After years of struggles and missteps, Honda has finally figured out the electrified vehicle thing. The Japanese automaker now offers six impressive electrified models, including this 2019 Honda Clarity Plug-In Hybrid. Although plug-in hybrids (PHEVs) remain a very small percentage of new car sales, they’re an important business for automakers around the world. Even luxury automakers like BMW, Porsche, and Volvo are offering plug-in versions of their sedans and SUVs, and the technology is developing quickly. Plug-in hybrids now offer more range, better driving characteristics, and more affordable pricing than ever before. The advancements have also created more competition, giving plug-in hybrid buyers more vehicles from more manufacturers to choose from. 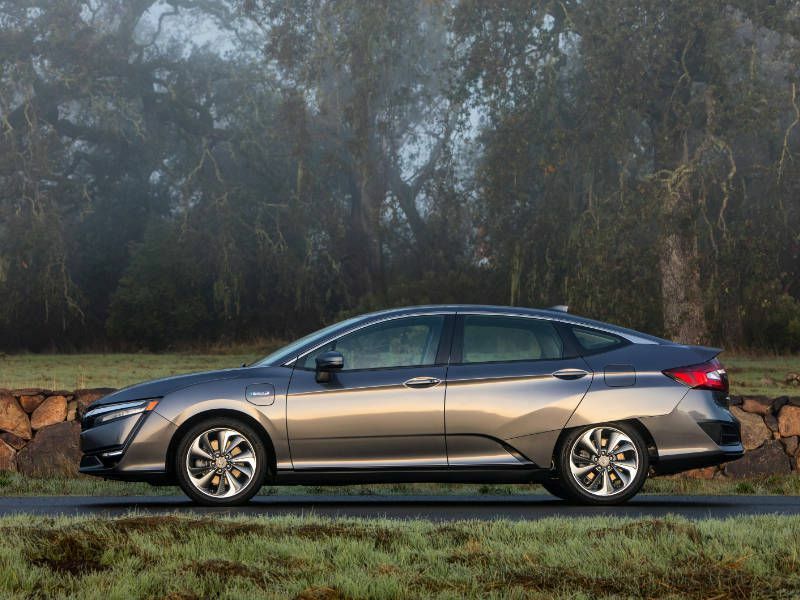 The 2019 Honda Clarity Plug-In Hybrid’s list of competitors includes the Chevrolet Volt, the Hyundai Ionic, the Kia Niro, and the Toyota Prius Prime. 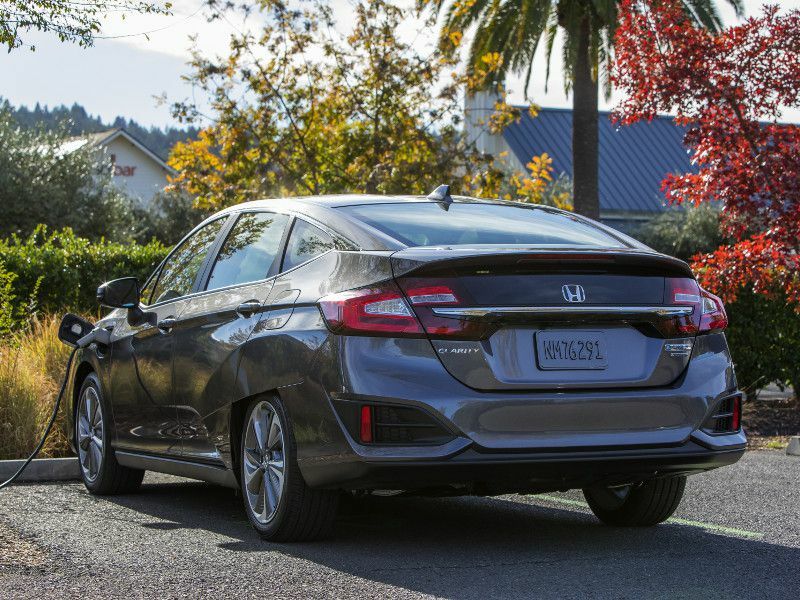 Unlike the 2019 Honda Clarity Electric and Fuel Cell models, which can only be leased in California and Oregon, the Clarity plug-in hybrid can be purchased and it’s available in all 50 states. The Clarity PHEV looks like a hatchback, but it isn’t one. It’s a large four-door sedan about the size of a Honda Accord that offers seating for five. 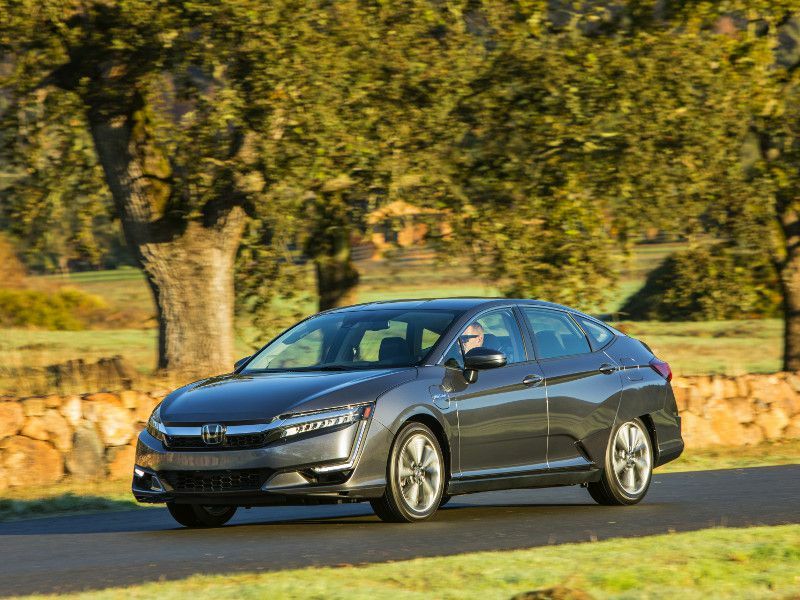 At over 192 inches long, the Clarity is much larger than its competitors and it's Honda’s largest sedan. Prices start around $35,000, including $895 for destination and handling. 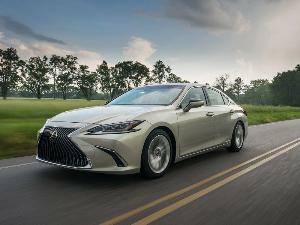 Built in Japan, the Clarity Plug-In Hybrid is offered in two trim levels: base and the better-equipped Touring, which costs about $3,200 more. Standard features include Bluetooth, heated front seats, LED headlights, and an 8-inch touchscreen. All models are front-wheel drive and have an automatic transmission. The Touring trim level gets navigation, leather-trimmed upholstery, and power-adjustable front seats. 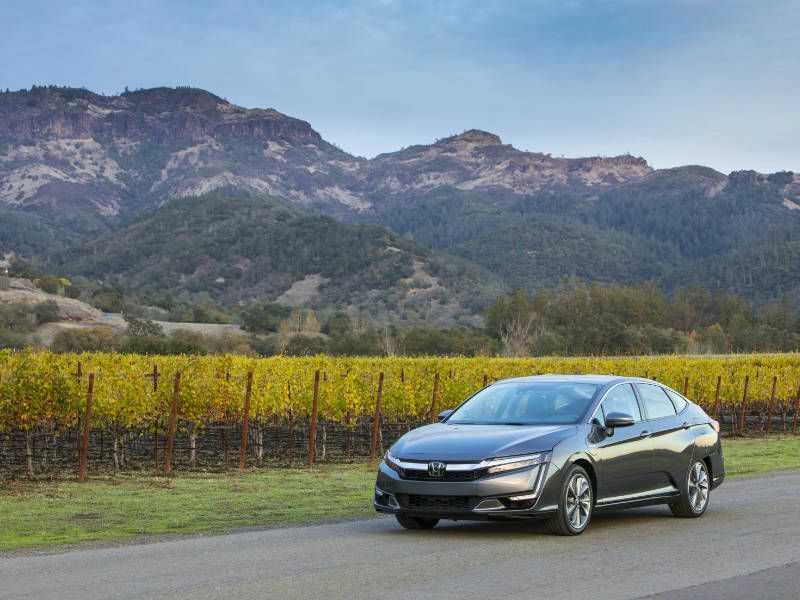 All 2019 Honda Clarity Plug-In Hybrids are powered by a 181-horsepower electric motor combined with a 1.5-liter Atkinson cycle four-cylinder gas engine, for a total output of 212 hp. To power the electric motor, there’s a 25kWh lithium-ion battery pack mounted behind the rear seat, while the gas engine drinks from a small 7-gallon fuel tank. 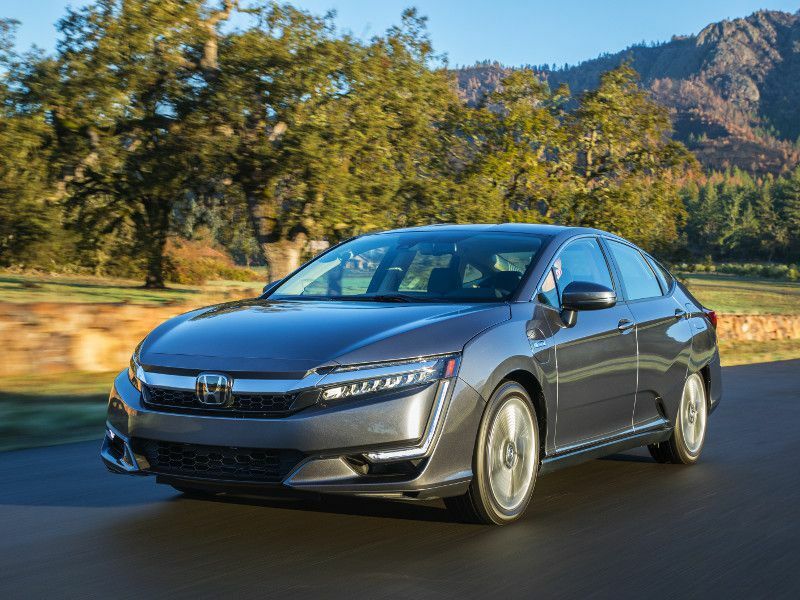 Once the battery is depleted, Honda says it takes 2.5 hours to fully charge a Clarity PHEV on a 240-volt charger and 12 hours on a conventional 120- volt household outlet, which is considerably less time than it takes to charge a Chevy Volt. During our week with the Clarity, we only plugged it into a 120-volt outlet, charging it every night. By morning its batteries were full and the sedan was ready to go. 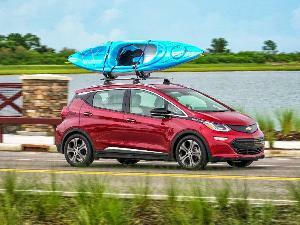 The advantage of a plug-in hybrid over a pure electric vehicle is flexibility and total range. Every night I would plug in the Clarity about 8 p.m. and settle in for the night, but it was nice to know the car could still be driven if I needed it. If I suddenly wanted to meet up with some friends at 9 p.m., or there was an emergency and I needed my vehicle, I could unplug the Honda at any time, even well before its batteries were charged, and drive it on gasoline where ever I wanted to go. You can’t do that with a pure electric. When an EV’s batteries aren't charged, you’re stuck. That flexibility makes plug-in hybrids like the Clarity a great option for those who want the experience of an EV without the anxieties of range and charging. We drove our 2019 Clarity Plug-In Touring test vehicle around Los Angeles for a week and found its electric range to be sufficient. The EPA says the Honda can go 47 miles on a charge, which is nearly class-leading, and it has a total range of 340 miles including gasoline. When needed, the Clarity’s gas engine turns on to charge the batteries, and it also adds power when you apply the throttle aggressively. 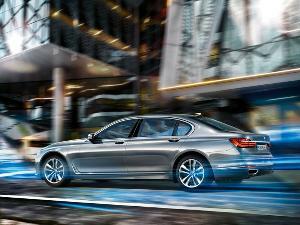 In Sport mode, there’s little extra oomph and more participation from the gas engine. Although the additional response comes at the expense of overall efficiency, we used it anyway and averaged between 40 and 45 miles of electric range driving normally. 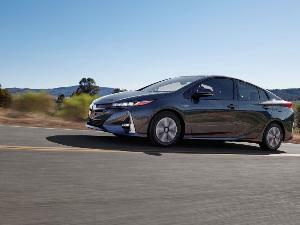 With a battery range of 53 miles, the Chevrolet Volt offers a bit more electric range than the Clarity, but the Honda’s other main competitors offer significantly less. The Hyundai Ionic plug-in has an electric range of 29 miles, while the Toyota Prius Prime can only be driven about 25 miles on a charge. It’s no sports sedan, but the 2019 Honda Clarity is sporty, fun to drive, and quick around town. Its electric motor is packing 232 lb-ft of torque from 0-2000 rpm, so the sedan is quick off the line. Floor the throttle when the light turns green, and the Clarity squeals its front tires and hits 60 mph in less than 8 seconds, which is about the same as the Chevy Volt. That’s quick enough to push you back in the seat and leave the Prius Prime in your dust. Merging on the highway is stress-free. When running on electricity alone, the Clarity’s powertrain is silent except for the soothing whir of its electric motor. You can feel and hear when its four-cylinder engine joins the party, but the powertrain is refined at all times. The Clarity’s steering is quick and responsive and its regenerative braking system, which captures the energy and sends it to the battery pack, offers a natural brake pedal feel with linear response. You can also select among four settings to increase the level of regenerative braking with the Clarity’s paddle shifters. Dial it up and the Clarity slows more intensely when you release the throttle. 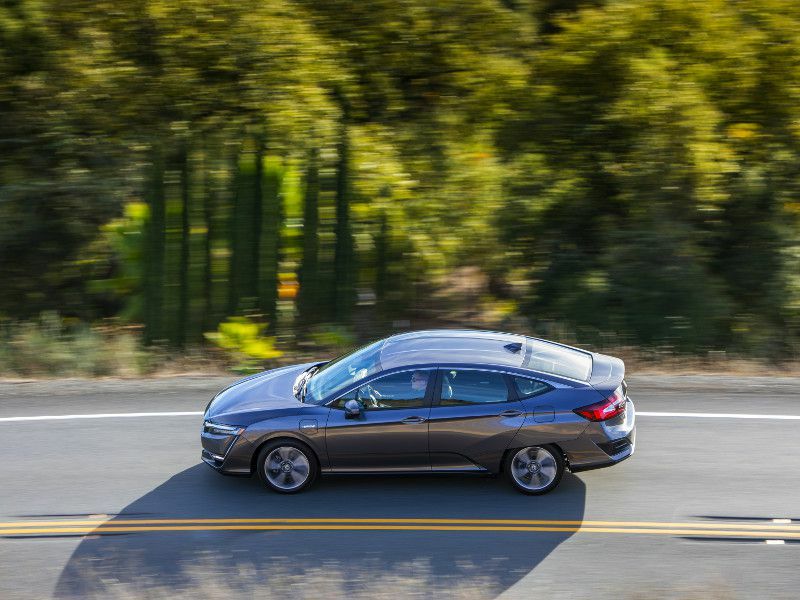 With its low center of gravity and large 18-inch tires, the Clarity also offers secure handling, although there’s some body roll when you push it into a corner. The ride is comfortable, and it cruises effortlessly on the highway. We also applaud the Clarity’s futuristic exterior design. No, it’s not beautiful, but Honda says the aerodynamics of its aggressive front end and uniquely shaped rear wheel wells improve the sedan’s efficiency. Compared to its exterior, the Clarity’s interior design isn’t very daring, but the cabin feels modern and upscale. More importantly, the interior has an overall feeling of quality, with rich materials that include dark wood trim, perforated leather upholstery, and an abundance of suede on the dash and doors. Panel fitment is precise. Visibility is excellent thanks to thin A-pillars, and the seats are comfortable. With the exception of its push-button shifter, which takes a little getting used to, the Clarity’s control layout is conventional. The only ergonomic issue is the sedan’s lack of a volume knob for its eight-speaker audio system. It’s an oversight Honda has corrected in other models. A large 8-inch touchscreen occupies the center of the dashboard and the infotainment system is easy to use, although there’s no onboard Wi-Fi. 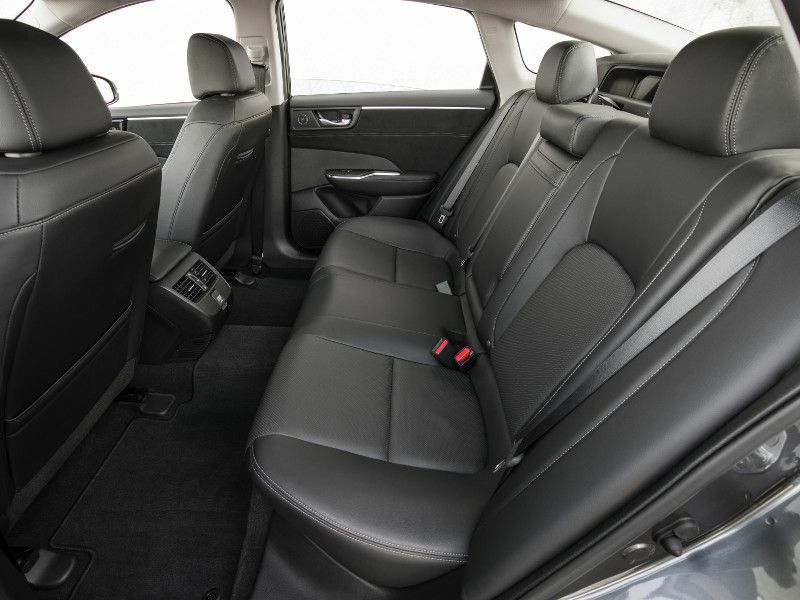 The Clarity’s long 108.3-inch wheelbase gives the sedan a very large rear seat with considerable legroom. Three adults can sit back there comfortably, and rear passengers get their own air-conditioning vents. Honda has also put clever phone holders in the front seatbacks, which were a hit with my kids, and there’s plenty of interior storage, with a deep center console bin, sizable door pockets, and a shelf under the shifter. 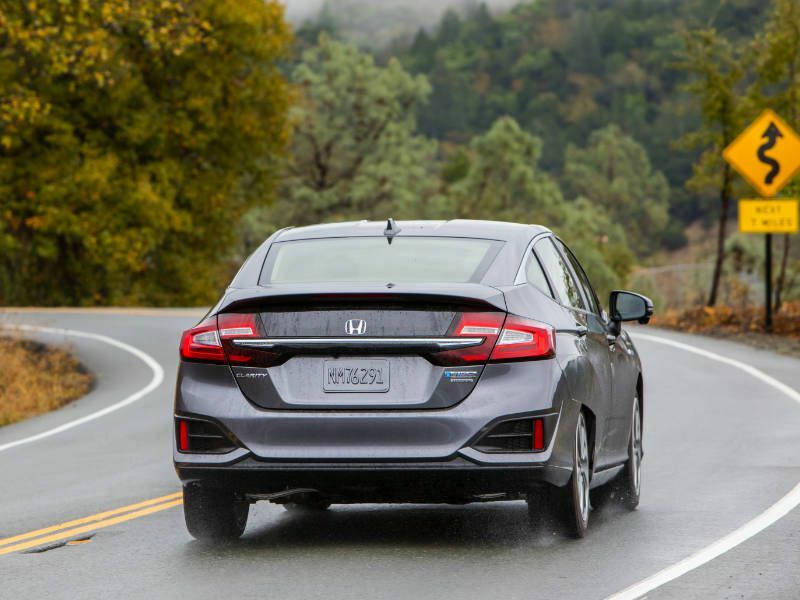 Every Clarity also comes standard with the Honda Sensing package, which includes adaptive cruise control, collision-mitigating braking, lane-keeping assistance, and road departure mitigation. 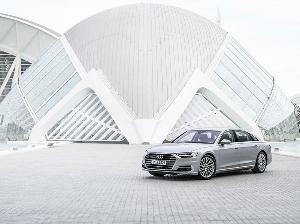 However, the sedan has not been crash-tested by the Insurance Institute for Highway Safety or the National Highway Traffic Safety Administration. The 2019 Honda Clarity Plug-In offers 14.8 cubic feet of cargo space, and the back seat is split 60/40 and folds flat to expose a small pass-through for longer items. 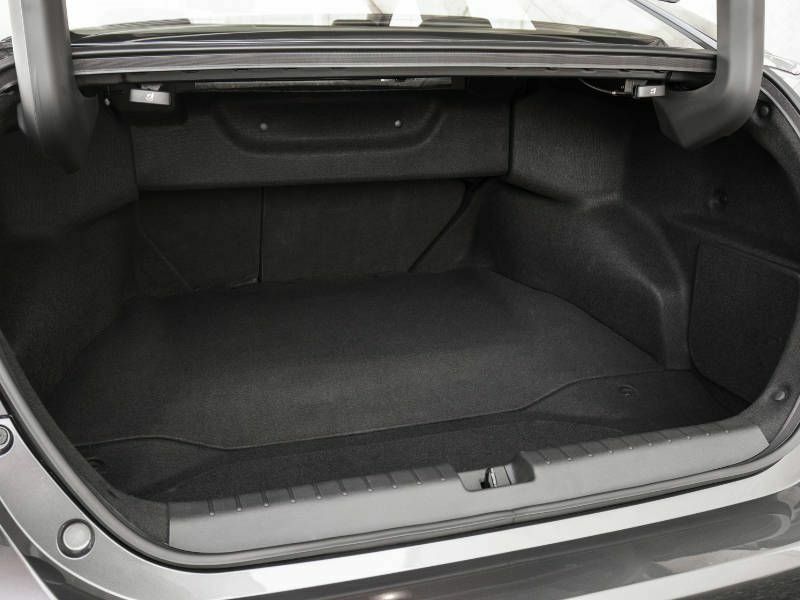 That’s a sizable trunk, and it’s large for this class when compared to the Chevy Volt, which offers just 10.6 cubic feet. Still, if you're looking to haul a mountain bike, other plug-ins on the market, like the Toyota Prius Prime and Kia Niro, are hatchbacks that offer considerably more space. Unfortunately, a power-operated decklid is not offered on the Clarity, and its trunk hinges fail to hold it open when the sedan is parked on a hill. Park the Honda on a steep driveway and the trunk can close itself on your head, which doesn’t feel good. There’s also no spare tire. Instead, to save weight, the Clarity comes with a tire repair kit and a phone number to call for roadside tire assistance. 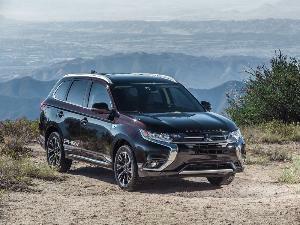 Overall, the Clarity PHEV offers a compelling combination of range, comfort, performance, and space. It costs more than many of its smaller competitors, but the Clarity offers class-leading rear seat space and 47 miles of electric range, which is more than enough for most commutes, also leads the pack. If you travel less than 50 miles a day, you can drive this car for months without using a drop of gasoline. The Clarity is also comfortable and refined, and its interior is beautifully finished. Plus, it performs well and it’s fun to drive. 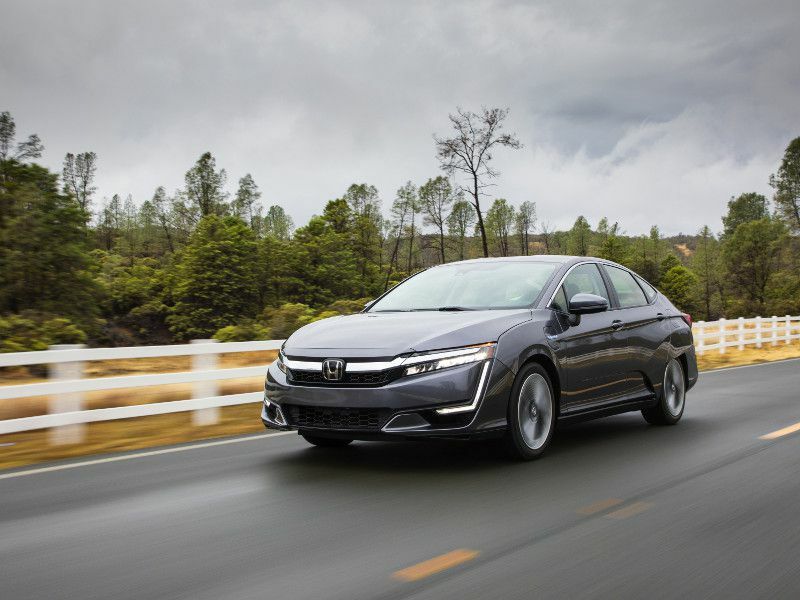 If you’re looking for a family-friendly plug-in hybrid, the 2019 Honda Clarity Plug-In Hybrid is a very desirable choice.